Amazon has recently become the most valuable company in the world with the highest market capitalization. In the times of Amazon’s growth, Microsoft has also started involving with more retailers. Recently, Microsoft has signed a multiyear deal with Walgreens Boots Alliance (WBA). Though Amazon’s core business still lies in e-commerce, it has been expanding into many sectors along with that. It has opened brick and mortar shops through Amazon Go Stores, its Whole Foods acquisition and other efforts — and at times that’s proving to be an advantage to Amazon’s competitors in the cloud business. And recently, Amazon has reportedly been taking an interest in health care. Though not much is talked as of now, it has started its venture with acquiring online pharmacy PillPack and teaming up with J.P. Morgan and Berkshire Hathaway for financial advice for a long-term plan to improve care and reduce costs for employees. WBA CEO and Executive Vice Chairman Stefano Pessina said he is not afraid of healthy competition from Amazon. He is hopeful that if Amazon enters into this sector, it will create an ecosystem for the sector and companies will thrive the way they deserve to. He also added that he had never believed that one company could monopolize one segment of the market. If one company is doing the right thing, it will have the ability to sustain the toughest of the competition. As far as the deal goes, Walgreens Boots Alliance is signing up more than 380,000 employees for its Microsoft 365 cloud apps offering, including Office 365, Windows 10, and mobility and security tools. The company will transfer most of its Information Technology workloads to Microsoft’s Azure public cloud. Walgreens Boots Alliance has almost 400 distribution centers that deliver to hundreds of thousands of doctors, hospitals, health centers, and pharmacies annually. It is also operating Walgreens and Duane Reade stores. The company has acknowledged Amazon’s acquire in the Pharma sector in the risk factor section of the latest annual report. 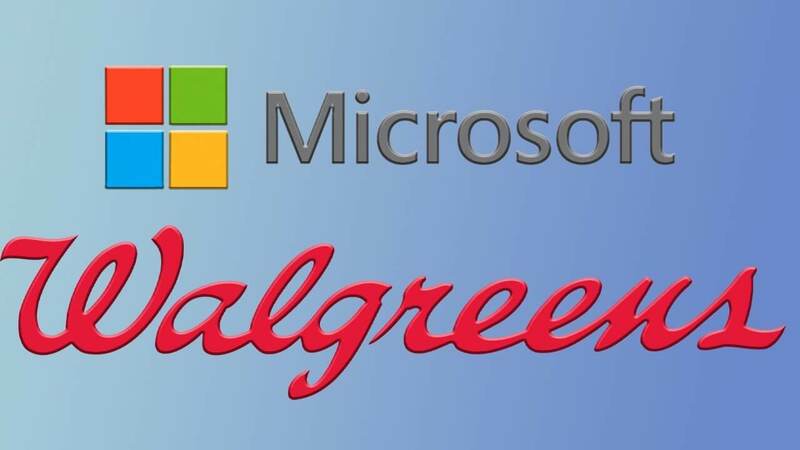 The deal with Microsoft will also include tests of “digital health corners” within some Walgreens stores, along with cooperation on research and development and software for managing patient engagement and chronic disease detection and record keeping. Microsoft CEO Satya Nadella said that the deal was the outcome of a conversation three years ago. He also added that the WBA went through a pretty rigorous process of really finding the right partner who can bring both world-class technologies, but also the trust as well in order to be able to help them build the ecosystem that is needed. He also added because, ultimately, this is about broad partnerships that need to be harnessed by Walgreens in order to deliver the services they are envisioning, and they needed to find a partner who, on the technology side, has the capability to do that ecosystem orchestration and is trusted. That is something where Microsoft does obviously deliver well in, and he was glad to really bring all of that to this partnership. Nadella said that Microsoft would work as the glue for various technology and partnerships that will bring data from multiple sources together so that the new program can be established as soon as possible. He emphasized that the deal is not just about Microsoft. The main motive here is to orchestrate that entire ecosystem of tech providers in order to help companies like WBA transform. It should be reported here that Microsoft has recently signed partnerships for cloud service rendering with big retailers like Gap, Kroger, and Walmart. But, the Amazon Web Services also possesses a large number of retail clients like Brooks Brothers and Under Armour, as well as health-care companies like Bristol-Myers Squibb and Celgene. In the growing market capturing by Amazon in various segments, the other companies have to play cautiously finding the right allies at the right moment to tackle the big competition ahead.